If there is any business struggle that is common across all industries, it's figuring out how to motivate employees and how to keep them engaged in their work. "Employee motivation" and "employee engagement" are terms that get thrown around a lot. And they're two of the most important things that business owners and managers should focus on. With that said, the terms are used so heavily today that their true meanings have become skewed in many ways, causing a number of misconceptions to arise about how to actually improve employee motivation and engagement. Many people tend to over-think and over-analyze how to actually motivate employees to be engaged in their work. It doesn't have to be difficult. It doesn't have to cost a lot of money. You don't need an outside firm to come in and fix the problem for you. It all boils down to communication and how you treat your employees. In this post, we'll look at some practical advice about how to motivate employees, different tools you can use, and how the most socially engaged companies keep their employees motivated. 9 practical tips about how to motivate employees. It's fair to say that the vast majority of upper management looking to motivate employees in their organization do so with the best of intentions. People simply want to get the most out of their workforce, but figuring out how can be a frustrating experience. Many times, the methods people choose to motivate employees end up backfiring, often making things even worse in the end. Here are 9 practical tips about how to motivate employees in your organization. 1. Be positive. Intimidation won't increase employee motivation and engagement. Many CEOs and managers think that intimidation is an effective technique to motivate employees. "If you don't get this project done by Friday, I'm going to dock your pay." More often than not, this results from fear or frustration. Threats over job security, pay rate, and other factors may work themselves into the situation, causing anxiety for employees. If anything, intimidating an employee will only further employee disengagement and will work against the problem you're trying to fix. Intimidating your employees may seem like a quick, harsh, and effective way to get them more engaged and motivated, but in reality, it won't do you any favors. 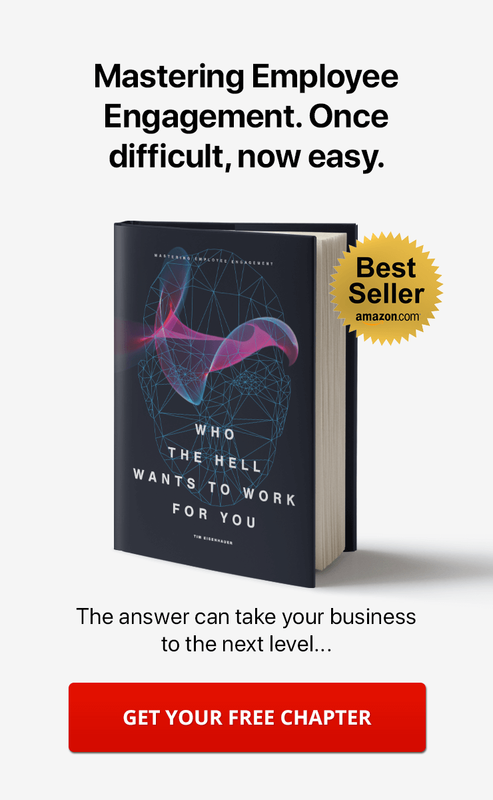 The fact is, today's employees don't need to hear that they could lose their jobs; it's a difficult landscape, and they already know this. Instead of trying to motivate employees with fear, look for positive ways you might be able to improve engagement and motivation within your organization. After all, your employees don't want to feel as if they're working for a tyrant, and there's no reason to give off that kind of impression in the first place. Your employees want to know that they're working in a safe space. Leave the anger and frustration at home; there are better ways to motivate employees. 2. Get to the root of the problem. Happy employees are not always motivated employees. Most people admit they'd prefer to work with a staff of happy people than one characterized by daily misery. A lack of happiness can easily contribute to problems with employee motivation. This being said, managers often make the mistake of thinking that employee engagement, employee motivation, and employee happiness are the same ... when really, they're separate things that are meant to work in tandem with each another. It's true that a happy staff will generally be more enjoyable to work with than the alternative, but to say that happiness has a major impact on engagement and motivation would be inaccurate. There are countless things that you can do to try to make your employees happier, but many of them don't get the job done. Extra pay, for example, may improve an employee's happiness for a short period of time, but it won't get to the root of the problem. Employee motivation is all about productivity and commitment to an organization. A person could be happy in their role simply because they have limited supervision and bring home a decent salary, for example; this doesn't mean they're enthusiastic or motivated to make any sizable contributions to an organization. If you assume that your employees are motivated just because they're happy, it may be worth your while to take a closer look at the reality of the situation. 3. There are better ways to motivate employees than with salary increases, pay raises, and "employee of the month" programs. People are often motivated by money, but the real test comes in determining how much of a difference it actually makes. No one is ever going to turn down a raise, but that doesn't necessarily mean it's going to motivate your employees. Perhaps in a quick attempt to improve engagement levels without putting in any actual work, some managers offer better salaries to employees that are failing to put in the right amount of effort. This is clearly not a good idea, as it will only cost your organization more money and likely have little effect on the overall problem. The productivity benefits that often come along with a raise tend to be short-lived. In this scenario, it's important to remember that a raise is meant to be given when an employee goes above and beyond their expectations rather than fails to meet adequate levels of engagement. Raises should be given as a way to reward an employee for their stellar performance ... so offering more money based on their poor performance will not help you figure out what's causing employee motivation issues in the first place. Sadly enough, some of the highest-paid individuals happen to be the least engaged and motivated in what they do. Salary increases and pay raises aside, there are countless other canned techniques that are used help improve an organization's engagement and motivation levels. If there's one that most people are familiar with, it's the "Employee of the Month" program. Some CEOs and managers believe that implementing such a program will be helpful, but more often than not, it just causes problems. When you highlight an employee of the month, there are chances you'll be hurting others within your organization and making them feel as if they're not being appreciated. It's a double-edged sword, as the employee who is highlighted may benefit from a boost of confidence, which could in turn help promote higher levels of motivation. Take a look at the bigger picture and it becomes clear that the risks far outweigh the benefits. Plus, the concept of "employee of the month" is antiquated and not in-line with modern business. 4. Have managers focus on employees who really need the attention. Others will thrive on their own. Your managerial staff is essential to leading your employees in the right direction and improving the flow of your business. On occasion, you can expect your employees won't all be on the same page, and perhaps they aren't getting along the way they should be. Employee motivation can easily suffer if there is tension between workers. And more often than not, managers tend to place an equal focus on all employees because they believe it to be the fairest way to divide their time ... which is an understandable assumption. Realistically, certain employees are going to require far more attention than others to become truly engaged and motivated in their work ... especially if they're newly staffed. In order to take on an effective management strategy, it's important to keep a close eye on your employees and identify those who are most in need of attention. Expend your energy towards them, as there's a good chance you have plenty of employees who are already motivated and don't need a push in the right direction. However, things can change on a dime, which is why it's important to always stay in touch with what's going on within your organization. There are a lot of factors involved with employee motivation (or lack thereof) that managers simply don't have any control over. Leadership methods could certainly play a major role in whether or not employees are properly motivated. So can things that are happening outside the office, internal conflicts between workers, and a number of other situations. While it's important for your employees to be able to problem solve with each other, situations that involve tension should always be addressed by management. This is by far the fastest way to alleviate problems, especially when a number of employees are affected. If you're not exactly sure how to handle the situation, it may be worth sitting down with upper-level staff for a status meeting to bounce ideas off each other. Motivating employees is a joint-effort that requires work on the part of both employees and managers, so focus your attention on who needs it, and check in often. 5. Surveys and performance reviews are not the answer to better employee motivation and engagement. Sometimes it can be difficult to assess the levels of employee motivation in an organization. This is especially true of companies that employ more than 100 workers, as keeping track of everyone can be next to impossible. The quickest and easiest route to take is to ask everyone to fill out an employee engagement survey, but most people learn the hard way just how ineffective this can be. When your employees are busy, the last thing they want to do is fill out a survey hundreds of questions long. If they're already unmotivated and disengaged, chances are that hitting them with something as impersonal as a mass-distributed survey will only make matters worse. Instead, put as much effort as possible into addressing each and every individual separately, determining their needs, and helping them find success in their position. However, this does not mean you should be giving them performance reviews every month or quarter either. The dreaded "performance review" is something that affects employees in all industries, and nobody looks forward to it. Managers often feel they can use a performance review to bring up problems associated with employee motivation, and while there are forward-thinking ways to do so, things are most commonly taken too far. Rather than smoothly incorporating a conversation about the issue into a review, some managers use the entire time to berate their employees over their performance and engagement. As with intimidation and surveys, performance reviews in their classic form are ineffective at improving employee motivation. You're better off creating a more tailored, personal approach and addressing the issue in a direct manner. 6. Encourage collaboration and embrace technology to help motivate employees. As many managers find out over time, some employees thrive when they work by themselves. The majority of the time, however, collaboration is an effective tool for saving money, time, and energy ... not to mention a great way for motivating employees. It's also becoming more and more important in the modern business landscape, especially in companies that employ remote workers, in which case social intranet software can be a game-changer. Social intranet software is one of the most popular business communication tools used today, and the benefits extend to employee motivation. When employees collaborate via a virtual platform, they don't have the option to be disengaged; their performance will suffer and everyone will notice ... giving management the opportunity to address any issues or problems. Handling your business processes with online collaboration tools can improve many aspects of your organization, with employee engagement and motivation being at the top of the list. If you have employees on staff that are already completely engaged in their work, there's no reason why they can't handle certain tasks on their own. Even these individuals will benefit from collaborating with others though, and those who are suffering from a lack of motivation can gain quite a bit from being part of an active team. 7. Handle your employee motivation concerns in-house ... not with an outside HR firm. When problems related to employee motivation begin to pop-up, it can be tempting to enlist outside help as quickly as possible. There are outside HR firms that handle issues related to engagement and motivation, and many of them are good at what they do. With that said, you're missing a huge opportunity for growth in your organization by hiring someone else to take care of the problem, and if your company is small enough where you interact with your employees daily, you may be setting yourself up for discomfort. Falling motivation and engagement levels should be taken as a sign that your managerial staff has some work to do to get everyone on the same page again. An HR firm may seem like a quick solution, but it won't do your organization many favors long-term. 8. Employee motivation extends well beyond the hiring and onboarding process. A lot of people think the key to ensuring proper employee motivation is hiring individuals who are already fully-engaged and motivated in the first place. Adding a new employee to your team can be an exciting experience. New minds can bring a lot to the table, and there's no telling what ideas may come about that might push your business in a forward direction. However, it is by no means a sure bet. When managers place all of their focus on the hiring process, they often expect that their "engaged" and "motivated" new employees are good to go, requiring no coaching or enrichment. It's assumed that new employees won't suffer from engagement and motivational problems ... simply because they're so new to the team that they can't possibly lose focus. If you embrace this philosophy, there's a good chance your staff's engagement levels will steadily decline over time. What often gets overlooked is that employee engagement and motivation levels can easily waver during the onboarding process, too. The onboarding process can be stressful and difficult for some, often leading new employees to feel overwhelmed. Managerial staff should always keep a close eye on new employees, regardless of how well-adjusted they seem to be. Hiring well is a necessity, but it doesn't take the place of great management. 9. Don't hesitate. There are cheap and easy ways to motivate employees and increase engagement. There's no getting around the importance of saving money for your organization. In an age where sticking to a budget is more important than ever, many business owners and managers look to how they can cut costs ... and some are hesitant to improve employee motivation because they feel it will be a costly venture. Fortunately, this is not the case. When it comes to improving employee engagement and motivation, the most effective tool isn't money, but time. Sitting down with an employee and discussing the issue (while keeping an open mind) can make all the difference in the world, as can helping to improve your office environment as a whole. Money can certainly help in these situations, but it's not the end all, be all. You can also check out another post, The Ultimate Cheat Sheet on Employee Engagement Ideas Your Team Will Love, for 49 employee engagement ideas you can use today. 5 tools to improve employee motivation and performance. Employee motivation and performance can make or break a business, especially when it comes to sales or customer service. As anyone in a management position already knows, even the best employees succumb to poor performance on occasion, and it can be difficult to figure out how to motivate them and turn things around. There comes a point in every manager’s career when it's necessary to focus on improving employee performance, engagement, and motivation. While it’s not always easy to know where to start, those in leadership roles can find solace in a number of different employee engagement tools, each of which can be used to help increase employee motivation and performance. Start with the following five tools, and don’t hesitate to expand on the list as you become more comfortable working with your employees. 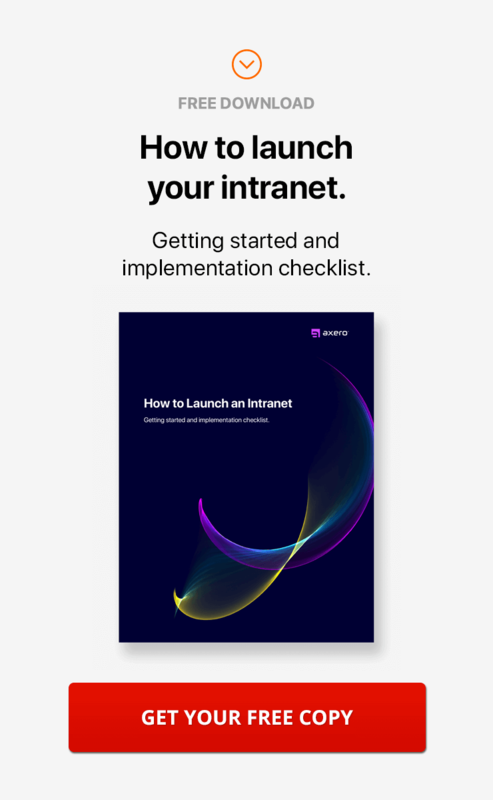 There are countless tools scattered around the Internet that can be used to help your employees perform at a more efficient level, but none compare to social intranet software. As mentioned above in our practical advice, collaboration is one of the best ways for employees to become re-engaged in their work, which inevitably leads to much better performance. With the right intranet software, you and your employees can collaborate at any time, even if you’re located around the world. Intranet software brings together everything you might need to handle day-to-day processes, including shared calendars, a document management system, blogging and wiki platforms, and more. Once implemented, you can create private spaces for each team in your organization where employees can share information and ideas. As intranet software can also be a huge time-saver, you’ll be saving your organization a great deal of money, all the while taking employee motivation and performance to an entirely new level. We live in the age of social media, and it’s an exciting time for businesses. Companies that would like to remain relevant in today’s world need to maintain pages on all of the major social media networks, including Facebook and Twitter. This is a great aspect of many companies' employee engagement strategy. Sometimes, however, managing a number of pages at once can be a difficult task, which is why it can be helpful to divide responsibilities between your staff so that you don’t have to handle everything yourself. Give them a task they don't know how to do, and you may just give them a challenge to overcome. And when they overcome such a challenge, they're more likely to feel ownership over the project. When employees are tasked with managing social media accounts (or writing posts, for example), they could feel more connected to the organization they work for. Employees need to be engaged and focused in order to properly manage an account, and the pressure that comes along with this is sometimes just what it takes to kick performance and motivation up a notch. As long as you don’t task staff members with more than they can handle, they’ll no doubt benefit from having a hand in your organization’s social media presence, whether it be through managing accounts, blogging, or otherwise. Learn more about the benefits of social in the next section of this post, Lessons from the Top Most Socially Engaged Companies. These days, more and more people are using smartphones and tablets instead of laptops and PCs to access the Internet and manage daily tasks. After all, those who already have these devices in their pockets typically find it easier to check-in with something or quickly browse the web instead of having to set up a laptop or sit down to a PC ... and the move towards portability isn’t looking to slow down anytime soon. Keeping this in mind, it’s essential for forward-thinking businesses in the modern age to embrace mobile platforms, and the sooner it can happen, the better. In order for your employees to find true success at work, they need to be connected to the office while they’re on the go. 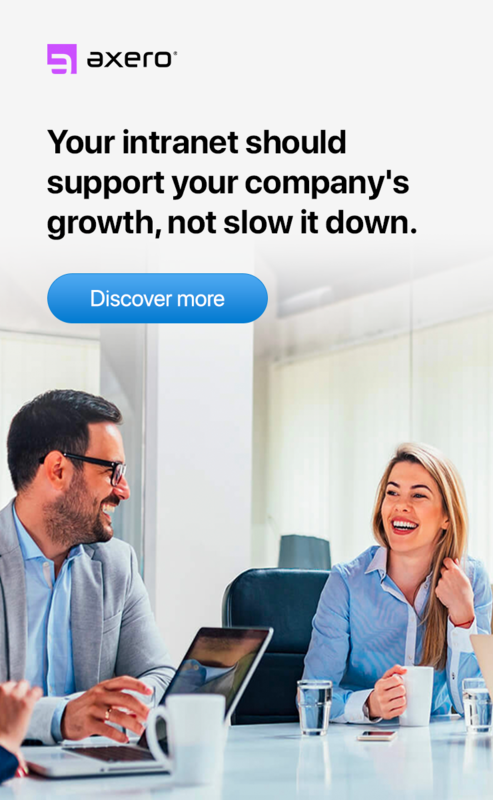 Designing or purchasing a mobile intranet app for Android and iOS that your staff can use to connect with your organization while on the road or at home is an excellent way to keep employee motivation and engagement levels high ... not to mention increase productivity and save money. Previously in this post, I said that surveys are not the answer to better employee motivation and engagement. And I stand by that. However, surveys can be somewhat of a double-edged sword. On one hand, they can be great tools for helping to gauge an employee’s happiness, motivation, and level of engagement, which can be valuable information. On the other hand, surveys can be annoying, alienating, and generally not something most employees want to spend time filling-out (as I mentioned previously); especially on busy days. It’s important to be use care if you are considering using surveys to learn more about your employees’ performance and engagement levels. Take care in only giving out surveys on days that are relatively slow, and keep them as short as possible. Ask questions that are to-the-point, but do so in a way that isn’t intrusive or uncomfortable. Perhaps most importantly, make sure you actually use the data you acquire. After all, there’s nothing worse than taking the time to fill out a survey, only to find out that the information is left to collect dust on someone’s desk. While there are a number of tangible tools that can be used to improve employee motivation and performance, one of the most effective is not something that can be touched or "logged-into," but instead comes in the form of employee engagement activities. Activities are perfect for helping take the stress out of the day, and they can be extremely cost-effective as well. Any business can embrace activities that help improve engagement and motivation, regardless of how large or small it may be. To get the most out of employee engagement activities, you’ll want to take the culture of your business into heavy consideration. A happy hour at the end of the week can be enough to help keep stress at bay, as can a company outing or in-office team-building exercises. Try as many different activity ideas that you can come up with, just as long as you don’t let them overwhelm your staff. Lessons from the top most socially engaged companies. As mentioned in point #2 above, we'll now take a look at the benefits social media can have on employee motivation and engagement in your organization. In a social economy, businesses that are aiming to go beyond employee engagement and invest in community and relationships are gaining affinity and attention. These companies have come to the realization that engaged and motivated workers are the lifeblood of their organizations. Relationship economics is the value of a company's social media engagement. It is an essential component to having a competitive advantage. It begins with employees and the outcome is real-world business results. Why engagement and employee motivation is low. According to a Gallup survey, only 13% of employees are engaged. Despite the widespread adoption of social media platforms, there is very little social engagement in the workplace. Part of the reason for this has to do with the value businesses place on employee relationships. When compared with socially engaged companies, those that have little engagement do not invest in the people at the company, their experiences, and their aspirations. Not surprisingly, these companies tend to be less profitable, have higher turnover, and have less support among their employees. Executives at these less socially engaged companies were also found to be way less socially active compared to the socially engaged companies. 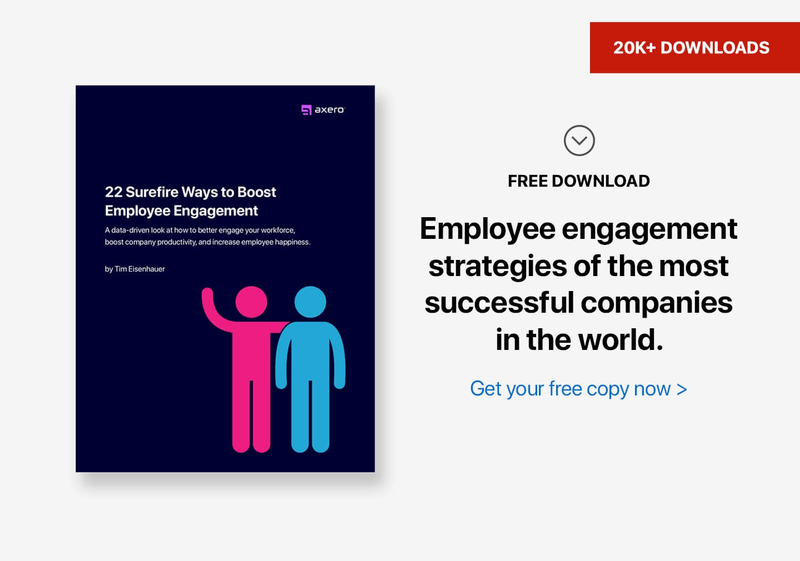 Engagement metrics showed significant differences with over 50% of executives in socially engaged companies being more likely to be socially active and to motivate employees to do the same. The top socially engaged companies. A recent study by LinkedIn and Altimeter Group looked at the top 25 most socially engaged companies and how such engagement contributed to their successes. Top on the list was Google, Adobe, The Wall Street Journal, Salesforce, VMWare, Facebook, HAYS, and Michael Page International. Down the list included companies like LinkedIn, RedHat, Teradata, MasterCard, NetApp, Juniper, Brunel, Yahoo!, Visa, among others. By studying these companies, we can learn a lot from how they have benefited by investing in employee engagement programs. According to Angela Ahrendts, Senior Vice President of Retail at Apple, "Everyone talks about building a relationship with your customer. I think you build one with your employees first." We can learn a lot of lessons from building relationships with employees from these companies. 1. Executives lead the way. Executives that understand their competitive landscape become a greater asset to the company. Executives at the top companies aren't just going through the motions of social, they are fully engaged with audiences. Jeff Weiner, the CEO of LinkedIn, has a Klout score of 82 and is one of the most thoughtful leadership voices in the valley focused on tech, social media, and leadership. Eric Schmidt, executive chairman and former CEO of Google, has a Klout score of 85 and posts interesting tweets about technology, the future of digital, and leadership lessons from his years of experience. Marissa Mayer, CEO of Yahoo!, makes good use of images and video from her Tumblr blog and tweets a lot of helpful links. Richard Branson has a Klout score of 91 and offers inspiring stories and quotations from his charitable initiatives and business ventures across his social channels. When top executives are active on social media, it shows the company is innovative, gives the company a personality, and motivates employees to do the same. The result is the company gains a more competitive edge. 2. Employees feel empowered, inspired, and motivated. Employees at socially engaged companies like Google and Adobe are 27% more optimistic about their company's future, and 15% more likely to feel connected to co-workers. As a result, they are 20% more likely to feel inspired, motivated, and stay at their companies. When employees are socially engaged, they are more likely to become brand ambassadors advocating the take up of their company products and services. This does not happen quickly. With a clear strategy and focus, however, it is possible to get employees to feel empowered over time and help the company gain significant competitor advantage. 3. Social engagement stimulates competition. Social engagement has a real bottom line. According to the above study, 40% of the top socially engaged companies are more likely to be perceived as more competitive and 58% more likely to attract top talent. As a result, they are 57% more likely to get increased sales leads. Social engagement is a great way to drive greater lead generation, cultivate innovation, and yield top talent. Gartner, which has a Klout score of 88 frequently posts valuable statistics across industries and even has a Gartner jobs Twitter account which helps the company attract top talent. Salesforce, with a Klout score of 88, regularly publishes and tweets up-to-date information on announcements and innovation which helps build enthusiasm for its products and show its innovative edge to customers and potential employees. Everywhere you look, employees and customers want socially active leaders and companies. The value of social relationships is on the rise and companies that understand this paradigm shift will remain at the top and continue to influence market trends moving forward. Figuring out how to motivate employees is an important focal point of your business, so make sure you use sound methods that won't work against what you're trying to achieve. All of the above examples will definitely help ensure that your efforts are rewarded. Once you start applying the tips above, along with employee engagement and motivation tools, you’ll quickly learn just how much of a difference you can make when motivating employees. Maintain a clear focus, and your efforts will surely pay off. Great article and I must say am a bit guilty since I have used some of the above techniques in my bid to get the work done and as pointed out, it has never worked well. I will change my style and see the outcomes. An interesting article that is well written and thoughtful. For me engagement can flow from culture. If the culture of the workplace is poor then engagement will also be. Create a working environment with a positive, inclusive and respectful culture and employees feel ownership of their work and working environment. In short they do not just go through the motions until clocking off but they take a genuine interest. But culture takes effort right from the very top. Tick boxing on culture will soon be found out and the culture perceived as false. Culture and indeed values need to be constantly demonstrated and practiced by all with senior management taking the lead. Listen to you employees as they have the day to day knowledge of their work and working environment and how it can be improved but ensure they are heard. There is a huge difference between listening and hearing and acting on what is being said. Openness and honesty will not always deliver what you employees want to hear but in the long run delivering the messages both good and bad will engender trust and engagement. Communication and people skills are key. Just because someone is senior within the organisation they might not be the best skilled to deliver on this so don't be afraid to use skills of others, it is not being undermined but recognising the skills of others and utilising them. Adrian, thanks for your comment. You hit a lot of topics right on point. Culture is often a difficult pill to swallow for many companies. They either get it right, or it comes off as being fake. Most of the time, if you just be real with your employees and treat them with respect, they're going to tell you what's going on. For many companies, "walking the talk" is the hardest thing to do. Build trust first. In the long run, it's the only thing that actually works with people. Trust doesn't automatically make people want to work for you, but it makes it possible for them to focus on all the things that do matter, like goals, relationships, service, etc. This is one of the toughest part about my position because I do not have much control over the implementation of engagement initiatives. My company & management has done every single horrible example you describe. So one of the ways that I try to keep my pulse on the true levels of engagement is to check in with key managers and simply ask how they're doing & how can I help. I also created a newsletter for my region that highlights advice and HR initiatives so that everyone is on the same page & the info is transparent as well as doesn't get lost in translation. I'm personally engaged not because I like the company but more so because I love HR and it's great to do what you love even if it's not in the best setting. Thanks for the link to this great article! Hi Tiffany, thanks for your input. Checking in and asking people how they are doing is the first step. Good job on that! The newsletter is also a good thing, as long as employees know it exists, they get value from it, and it's easily accessible. Are you publishing it on your intranet? Can they ask questions in a transparent way that everyone else can see the questions and chime in with their own? Loving your job is one thing. Loving the company you work for is another. Knowing that you can contribute, that you will be heard, and that your contributions actually matter is the first step to engagement. And sometimes these things are out of your hands. Keep your head up and keep up the good work you are doing. It will pay off at some point in your bright future. Tim, great recap of common wrong actions and thinking in employee engagement. I would add an addendum to your Employee Engagement survey one. "Doing an employee engagement survey improves employee engagement." I am often called into companies for two main reasons: 1)They have done this monstrous engagement survey, spending hours and months analyzing the data ... and never getting around to taking action to make anything change. 2) HR professionals report they see the need but have a challenge getting leadership to understand and buy into it.